If you're a fan of practicality dressing when it comes to your personal style, you'll love this simple combination of a white long sleeve shirt and brown sunglasses. 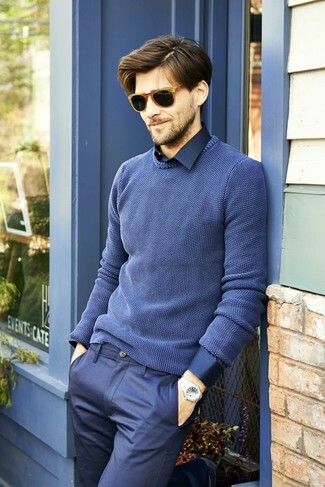 If you're all about comfort dressing when it comes to fashion, you'll love this cool pairing of a blue crew-neck sweater and Garrett Leight van buren combo 46 sunglasses. 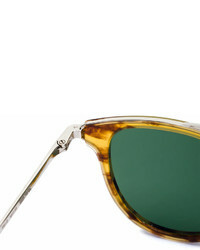 If you're a fan of relaxed dressing when it comes to your personal style, you'll love this simple combination of an olive field jacket and Garrett Leight van buren combo 46 sunglasses from farfetch.com. You could perhaps get a little creative in the footwear department and elevate your getup with beige suede derby shoes. This pairing of a navy print long sleeve shirt and Garrett Leight Van Buren Combo 46 Sunglasses from farfetch.com is hard proof that a safe casual outfit can still look really interesting. A pair of white canvas low top sneakers will bring a refined aesthetic to the getup. If you're all about being comfortable when it comes to planning an outfit, this combination of a navy cardigan and Garrett Leight van buren combo 46 sunglasses is just for you. 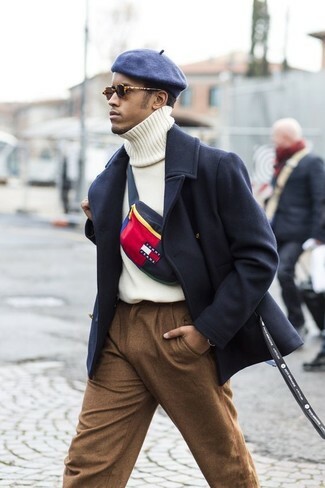 If you're a fan of comfort dressing when it comes to fashion, you'll love this easy combo of a navy overcoat and Garrett Leight van buren combo 46 sunglasses. 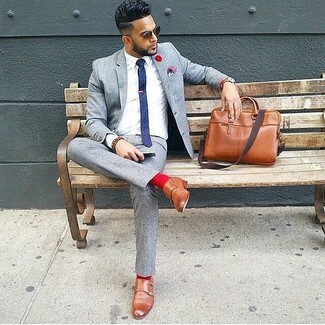 If you're after a casual yet dapper look, marry a grey wool suit with Garrett Leight van buren combo 46 sunglasses. Both items are totally comfortable and look great together. 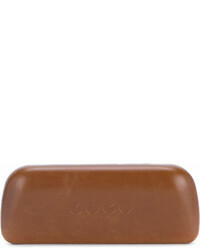 Brown leather double monks will instantly spruce up even the laziest of looks. 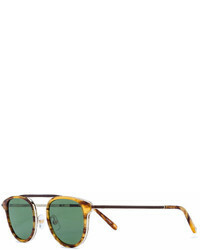 If you're a fan of comfort dressing when it comes to your personal style, you'll love this on-trend combination of an olive overcoat and Garrett Leight van buren combo 46 sunglasses from farfetch.com. Elevate this look with dark brown leather casual boots. 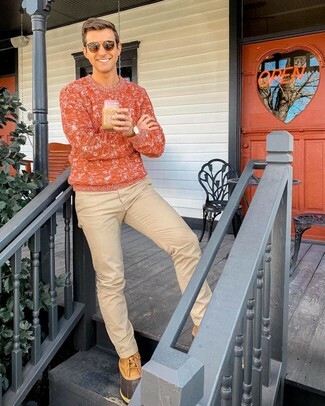 An orange cable sweater and Garrett Leight Van Buren Combo 46 Sunglasses are the perfect foundation for a myriad of outfits. A pair of tan snow boots will be a stylish companion to your ensemble.